Most guests spend approximately 1-2 hours at the cafe. 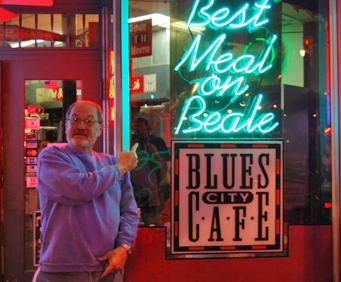 Sink your teeth into some of the most talked-about BBQ Ribs and Southern favorites with a meal at Blues City Cafe, on Beale Street, in Memphis. Take a seat in this historical restaurant for delicious meals or a cold beer. Located right across the street from B&period;B. King's in the heart of downtown, the Blues City Cafe is famous as the home of the late Chef Bonnie Mack, who brought back customers time and again with his famous recipes. 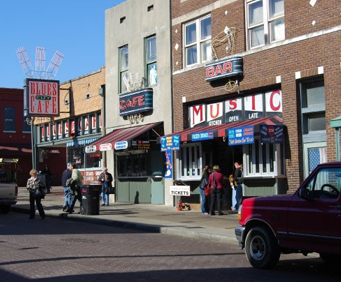 The location was also used as a dinner-style cafe in The Firm with Tom Cruise, and the cafe's location along Beale Street means fantastic views of downtown Memphis. While you're there, enjoy some of the delicious ribs, but keep in mind, those aren't the only great thing on the menu - you can also enjoy steaks, tamales, chicken, and fried catfish. 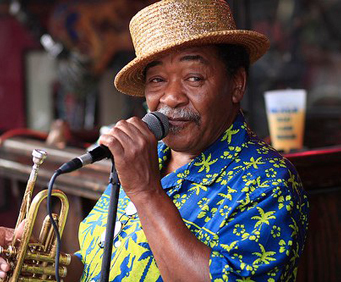 Or you can enjoy a cold beer while listening to the other section of the cafe, entitled The Band Box, which features live entertainment. Free World, a local rock band, plays regularly at this venue. If you are looking to lodge amidst all the great excitement along Beale Street, the Comfort Inn Downtown, Doubletree Hotel Memphis Downtown, or Hampton Inn are just a few downtown lodging options. Never go to memphis without first eating at blues city. Food is delicious, atmosphere is down home, service wonderful and everybody has a smile for you. Even though everyone says the ribs are the best part -- this is a must for any steak lover too! Cooked right across the room by staff that welcomes your questions and comments, with the house salad tossed in a light tangy dressing and served with texas toast and your choice of sides (fries were wonderful) i will never visit memphis again and not eat here! Last time in memphis, we stopped at blues city cafe and i ordered a sandwich and a sample of ribs. I was so sorry i got the sandwich. So this time while in memphis we returned to blues city and i ordered a full rack of ribs. We are from nebraska but i would drive all the way to beale street again for those wonderful ribs. They are so delicious i just can't describe them. I know i will be returning sometime soon. Thanks for making my vacation a success.